Fantastic Hand dyed Raspberry Pink velvet and white costume made by Jean Olsson. This dress has only been worn a few times and is in stunning condition. 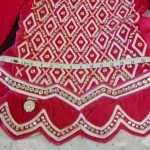 Fully embroidered bodice front and back with dropped waist and gorgeous skirt. This dress is also covered in large Swarovski crystals and comes complete with head band and bloomers. 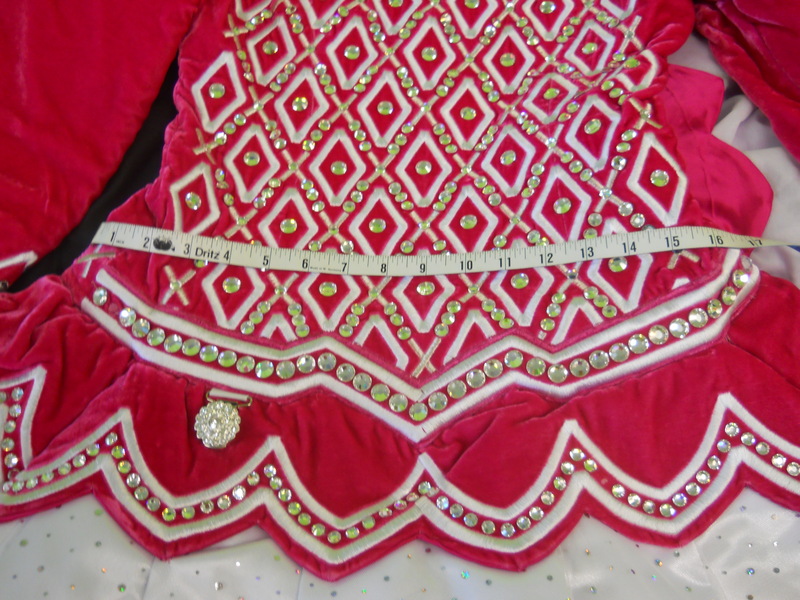 (Extra crystals for replacement) Asking 1650.00 us dollars Located in Massachusetts. Asking Price: $US1,650. Shipping costs are included for my own country, overseas shipping is extra. Returns are negotiable.